Used by the NYPD, the FDNY, New York City Sheriff and businesses around New York such as Geico, Sleepeys New York, Ted Baker Manhattan and even the US Marine Corps. M&D Locks and Keys provides full service commercial locksmith services to the New York business community; from changing out locks in downtown high rise offices to installing industrial strength locking mechanisms for maximum security warehouses. Additionally, we install highly sophisticated Bosch, Sony and Samsung security camera systems as well as remote access and access control units. M&D not only provides a wide variety of top line security cameras for your home or business, but we’ll also install intercom units, remote access & access control systems as well as a full line of wireless security for your home or business. From indoor dome cameras and night vision units to heavy duty surveillance and CCTV cameras, protect your business and home from the inside and out with M&D’s commercial and home security camera products and installation. Protect your family and property with M&D’s home security systems. Keep an eye on potential intruders and even baby sitters right from your phone, computer or tablet. Call us for a home installation quote today. Why install a security camera? To prevent external threats from intruders such as break-ins. To prevent loss from customer theft. To help prevent fraudulent claims by employees. To protect your family in your home. To monitor babysitters, caregivers and household staff. To observe activity on your premises. To prevent a poor customer experience. To keep a visual and historical record of activity on your property. What are the best types of security cameras? Today’s security cameras can be activated by motion detectors, allow you to view live or recorded feed and give you the best resolution for night or obscured vision. There’s a wide range of systems from which to choose and it can leave you a bit confused. M&D makes your decision easier by warehousing and installing only the best from Bosch, Sony and Samsung—that’s over 300 years of combined experience in electronic security. We install and service a full range of security cameras and electronic surveillance equipment from these experienced manufacturers. Types of security devices include monitors, CCTV systems, observation units, surveillance cameras, video switchers and control devices as well as both analog and digital recording systems. With infrared technology, night vision cameras can catch almost any activity in the dark that your eyes cannot. These units are great for securing areas that aren’t very well lit, but are vulnerable at night. You should never rely on cameras alone and should incorporate several methods for protection in the dark, but night vision security cameras can deter potential thieves and allow you to keep a close eye on sensitive and obscure areas. Think “Eye in the Sky” in any Las Vegas casino, dome cameras are best for indoor use. They provide 360-degree visibility because they can rotate in any direction. 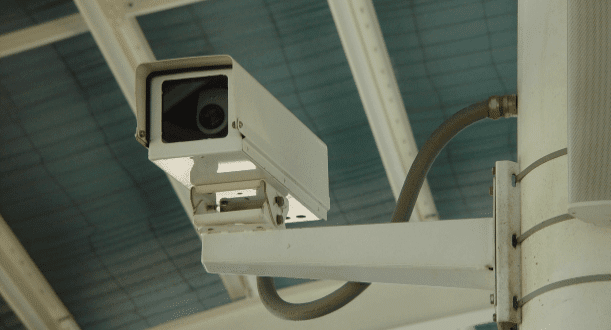 We like that they don’t blatantly scream “SECURITY CAMERA!” The look of these cameras are not intrusive and are rarely noticed, but provide the maximum visibility to protect anywhere and anyone in your home or business. These cameras are the latest craze and one of our biggest sellers. They allow you to view live feed from your cameras from almost any wireless device, including your smartphone. Keep an eye on the nanny or caregiver while you’re out to dinner or even in another country. They’re best for securing inside space and can work with other security systems. Also called bullet cameras, outdoor security cameras are encased within an ultra-strong housing, enabling them to withstand the harshest outdoor elements including rain storms and moisture, freezing temperatures and extreme heat. You may have seen these cameras outside of warehouses and shopping malls. If you have an outdoor area that is exposed to harsh elements, this is your camera. Keep in mind that security cameras do not work alone. You’ll also need a monitoring system that will work as a standalone DVR unit for video feed or a PC DVR system that will work with your computer or other digital device. There are advantages to both and M&D Locks and Keys will advise you on the right monitoring system for your home or business. At M&D Locks and Keys, we understand that choosing the right security camera and knowing how to use it can be a daunting task. We’ve helped thousands of New York business owners and residents choose and operate the right system. Give us a call and one of our skilled technicians will walk you through the entire selection process. M&D technicians have years of experience installing security camera systems so your cameras perform at their best and will never fail at critical moments. Try to do it yourself and you can waste a lot of money on the wrong system. More importantly, your cameras can miss the very activity they were designed to capture if you get them installed by someone who is not an expert. Let the professionals at M&D provide you with a security consultation and estimate. Call M&D Locks and Keys at (718) 484-4050. We’ll begin by meeting with you to determine your security needs. We’ll offer solutions that give you the security you require and yet are still within your budget. After our consultation, we’ll put together an estimate based on your security needs. The estimate will include parts, installation and servicing. We’ll work with you to install your cameras by placing them in areas you want protected. We’ll set up your monitoring device for easy surveillance. Once installation is complete, we’ll meet with you and any staff or family members to make sure you know how to get the most out of your new security system.